Next week Apple is rumored to be announcing the iPhone 8 (which may be known as the iPhone X or iPhone Edition) at an event in San Francisco, but so far reports haven't suggested it will be getting a major new camera spec. 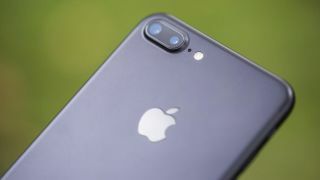 A new supply chain rumor suggests Apple is planning to upgrade the cameras on all of its iPhone models, but that it's not ready yet and these changes won't debut on an iPhone until 2018. The rumor suggests the iPhone 8S or iPhone 9 (depending on what name Apple settles on) will be the first Apple device to include a sensor over 12MP. The report from Digitimes states that Apple has booked a camera manufacturer to make new higher-resolution lens modules. Apparently Apple will use Largan Precision in Taiwan to make the new sensors, as it's one of the only manufacturers able to meet Apple's yield rate requirement. Largan can apparently produce as many as 600 million lens modules per month, and production will begin at the end of next month. As for this year's handset, so far rumors have suggested next week's iPhone 8 announcement will see the phone include a similar camera setup to the iPhone 7 Plus. Instead of using two horizontally placed lenses, the phone will likely place them vertically on the back, which is thought to offer some improvements when it comes to augmented reality based features. Other camera rumors suggest the iPhone 8 will include optical image stabilization on both sensors, unlike the iPhone 7 Plus, which only included it on one. What will be happening to the camera on the iPhone 7S and iPhone 7S Plus is a lot less clear though, so we'll have to wait until Apple's September 12 launch to find out.